On October 29th, the California Air Resources Board (CARB) released a lengthy set of proposed cap-and-trade rules to reduce the state’s greenhouse gas emissions. 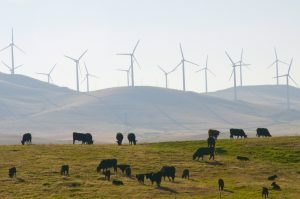 It’s part of the implementation plan for AB 32, the state’s clean energy law, which mandates a reduction in greenhouse gasses to 1990 levels by the year 2020. The cap-and-trade component of the law will be responsible for about 20 percent of the total greenhouse gas reductions required by AB 32. Over the following weeks, CalCAN will review the lengthy set of rules and provide analysis and commentary, so stay tuned. CARB votes on the rules at their meeting on December 16th – 17th. If you wish to provide comment, you can do so electronically by Dec. 15th, or in person at CARB’s December meeting.